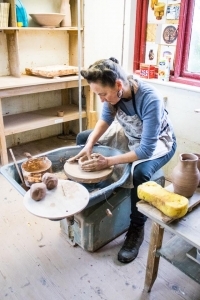 It’s been a great experience being the first poet-in-residence at the Leach Pottery in St Ives. With its strong Japanese connections (the pottery was founded by Bernard Leach and Shōji Hamada), it’s enabled me to continue my exploration of all things Japanese after my recent writing trip to Japan, sponsored by Arts Council England. I’ve experienced a real generosity and openness from all the potters and staff at the Leach Pottery. My potter flat mates cooked me a huge vegan dinner as a welcome. And I never expected to be a participant on the Leach’s sought-after five-day throwing course, run by Debbie Prosser. I’d hoped to sit in a corner and watch the students’ progress. But the Leach has a ‘hands on’ approach; I was given a pinny and a wheel, and my notebook’s now full of clay-smeared poems. In addition, due to Debbie’s expert tuition, and endless patience, I’ve made some passable pots. OK, not of the Leach standard by any means but there’s some that, as a beginner, I can be proud of. And after two weeks living and working at the Leach Pottery, I’m drafted 21 poems all relating to pottery. I’m delighted. I’ll miss the good-natured creativity of the pottery studio but maybe not the getting up at 6.30 to see how the kiln’s doing. But then, I’d never have experienced the kiln’s firing, the Leach stoneware being bricked up before sunset and watching it being unbricked and unpacked two mornings later, all the while hearing the different glazes’ ‘ting’. Another highlight was holding a thirteenth century Chinese teabowl and a Japanese Raku teabowl from the Leach Pottery’s current exhibition, ‘The Teabowl: Past and Present’. I tried not to think about dropping them. I know I’m going to miss choosing which texture and colour of Leach pottery mug to drink my tea from, which bowl for porridge. I’ve come to realise that porridge looks particularly good against tenmoku glaze. I’ll be back on 1 March to run a Japanese-themed poetry workshop (sold out) and will return later in the year to give a reading of my new poems. Katrina is just back from a week’s writing at the Roger & Laura Farnworth Residency at Warleggan on Bodmin Moor, Cornwall. It was a particularly productive writing week. Katrina drafted 12 poems during the residency. She also read and read. You can see some of Katrina’s reading for the week here. 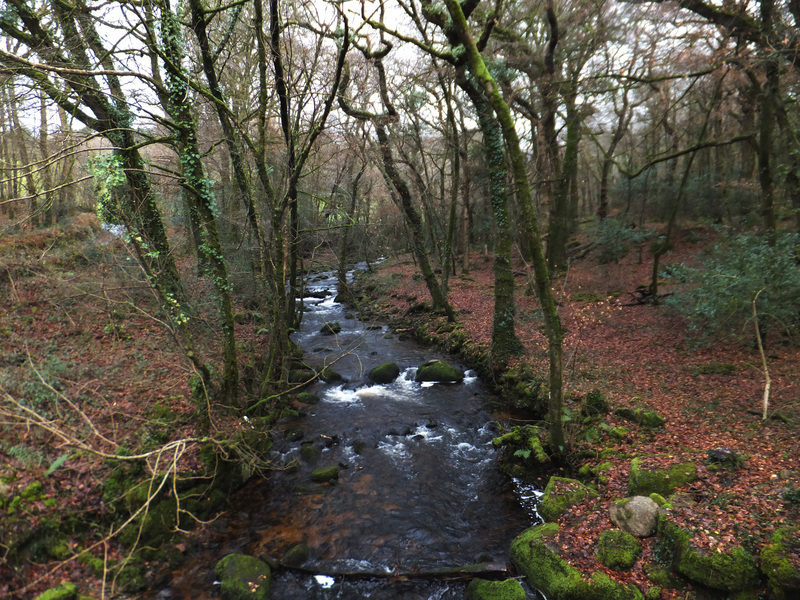 She would like to thank Cathy Rozel Farnworth and David Woolley from the Bodmin Moor Poetry Festival for the residency. 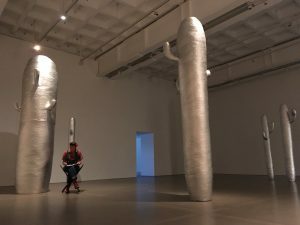 Katrina was writer-in-residence at the Arnolfini in 2016. 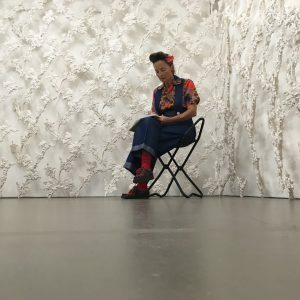 She wrote a range of poems in response to Daphne Wright’s ‘Emotional Archeology’ exhibition. 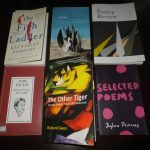 Here’s one of her poems ‘Spared’, along with some of the poem’s drafts http://www.arnolfini.org.uk/blog/katrina-naomi-poetry-in-progress. The Arnolfini is the Centre for Contemporary Arts, based in Bristol. 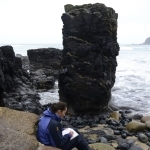 Katrina’s article ‘Blue Vacancy: Letter from the Isles of Scilly’ has just been published in The Poetry Review (spring 2016) following her residency on the Isles of Scilly in November 2015. 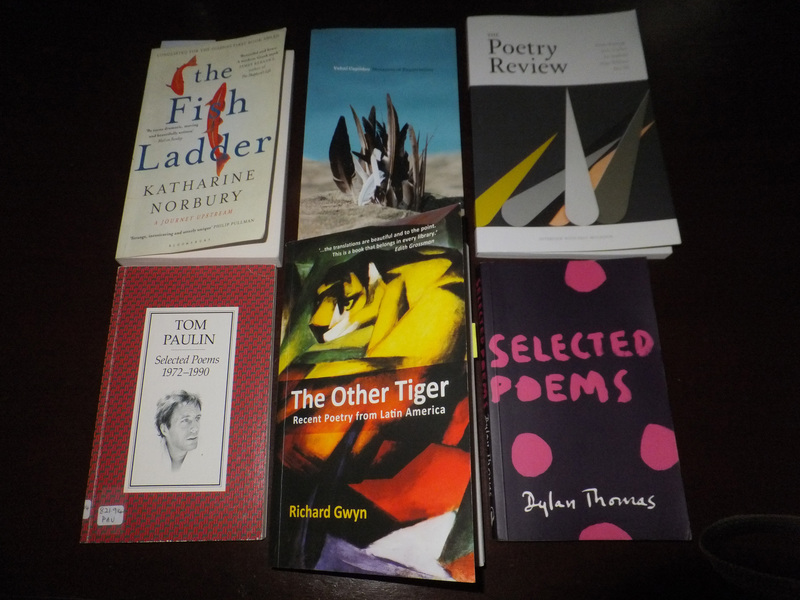 Further information on The Poetry Review here. 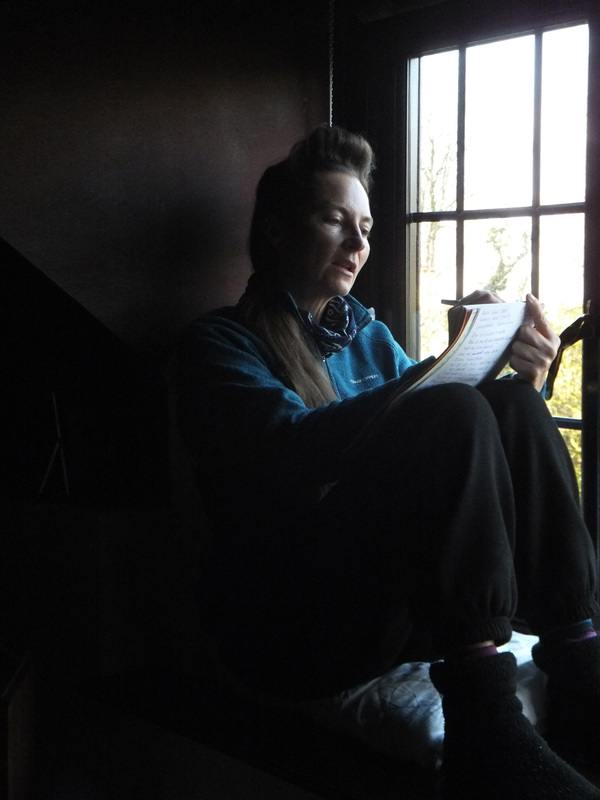 During the residency, Katrina wrote several new poems and began work on a project researching poetry from Scilly residents. She also discussed future work with the Five Islands School. Goldsmiths College’s Department for English & Comparative Literature funded the residency and have made Katrina a Postdoctoral Research Associate. 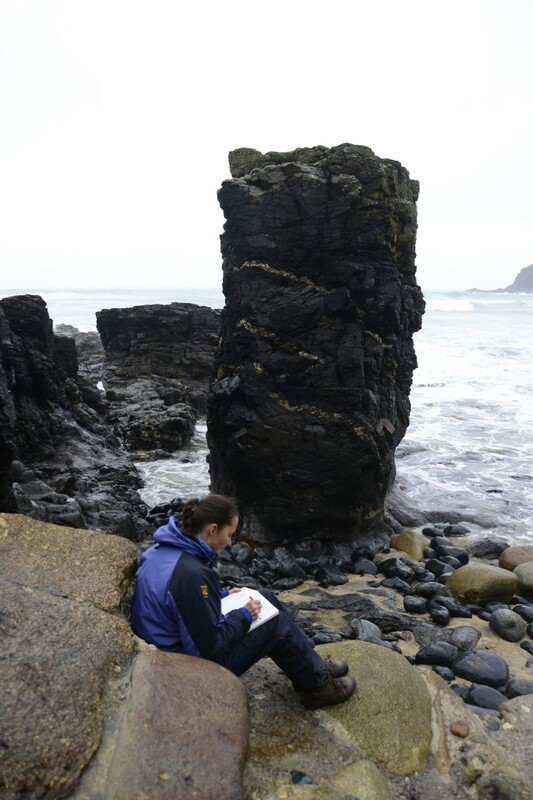 Katrina was writer-in-residence at Brisons Veor on Cape Cornwall with the visual artist Tim Ridley for a week in February 2016. Katrina and Tim began a new collaboration entitled ‘an hour from here’. From March to April 2015, Katrina was writing and living for a month at the Hawthornden Castle International Writer’s Retreat in Scotland as a Hawthornden Fellow. She began writing a sequence of poems inspired by silence. The sequence was inspired by Katrina finding out that her great-nan, Eliza, used to attend the Women’s Social and Political Union (WSPU) meetings in London. As part of the residency, Katrina gave a reading of her current work and ran a day-long workshop ‘Going Public with your Poetry’. 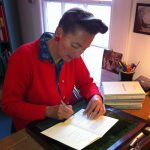 Katrina has since been a judge for the Gladstone’s Library writer-in-residence awards. Katrina was the first writer-in-residence at the Bronte Parsonage Museum in Haworth, West Yorkshire. She ran events for National Poetry Day for adults and children, held workshops for the Together Women Project in Bradford and wrote poems in response to the Brontes’ work, home, landscape and personal effects. Her poems were published by the Bronte Society as Charlotte Bronte’s Corset and the museum put on an exhibition of Katrina’s writing. She also performed alongside Carol Ann Duffy at the first Bronte Festival of Women’s Writing and ran a special workshop for the festival. 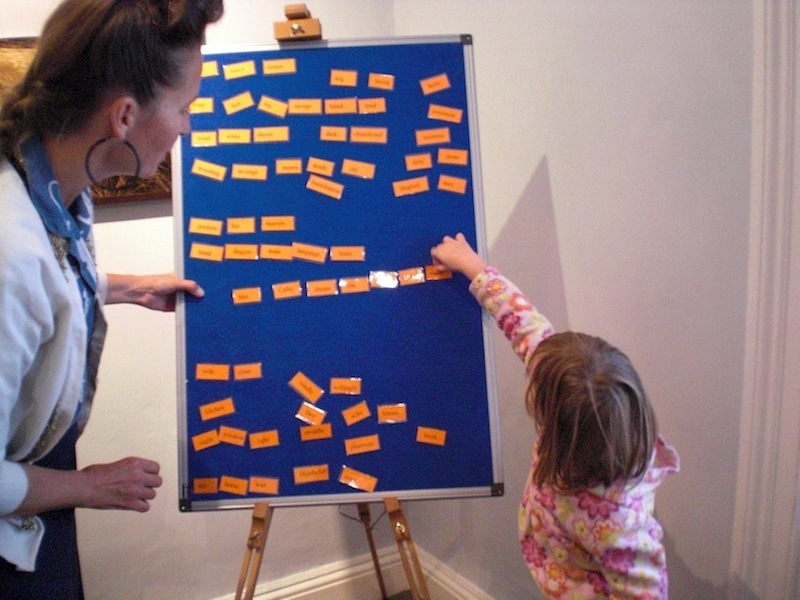 Following on from the residency, Katrina ran a Bronte-themed Arvon course at Lumb Bank for the Calderdale and Ilkley Young Writers groups in February 2013. Katrina has also been writer-in-residence at Hartlepool Art Gallery for the ‘In Thy Face I See…’ show of local and international artists. 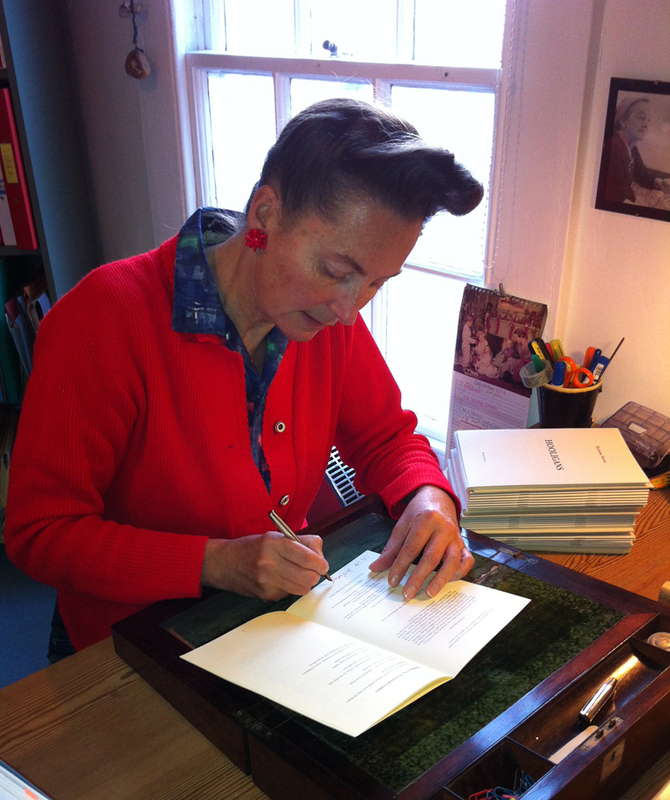 She wrote poems in response to a series of portraits and the poems and paintings formed a joint exhibition. Katrina ran several workshops on writing from art and held drop-in sessions for local poets, which received widespread local coverage in the press.